Democracy Now: "Robert Kagan and William Kristol "
Trouble in Paradise: Fractures between left and right have already begun to appear in Brazil's Workers Party, just a month after new Workers Party President Luiz Inacio Lula da Silva took office. According to Bloomberg.com, quoting the Brazilian paper Correio Braziliense, da Silva has ordered members of the party to stop disputing publicly and maintain unity. The issue agitating the party is whether or not to service Brazil's $300 million foreign debt. Party members critical of the government include Sen. Heloisa Helena, who has proposed putting International Monetary Fund officials on trial for crimes against humanity. Helena and other party members have criticized Lula's pledges to cut spending, overhaul the pension system, implement central bank autonomy and pay the nation's debt. In the office, now-wavering Chávez supporters grew quiet. As corporate directors were replaced by Army generals, we began to receive questionable decrees from above. In vain, PDVSA executives refuted such mandates as to supply Cuba at special pricing and "indefinite" credit terms - despite arrears exceeding $30 million. Paranoia was building at all levels of the organization as even routine business decisions had to be defended against an overtly hostile "boss" with no industry background or business experience whatsoever. The government was also sending new clients our way. These "businessmen," from countries including Libya and Colombia, had no knowledge of the petroleum trade. Basic industry jargon drew confused expressions. With no real intention to receive oil cargoes, they bid prices so far above market level that the numbers seemed typographical errors. One memorable client, whom we nicknamed "Señor Leche En Polvo" (Mr. Powdered Milk, his primary business) managed to slip through all the filters. Unable legally to refuse his bid to buy a tanker of gasoline, managers awarded him a cargo. Predictably, no tanker ever arrived at the load port, causing production losses at the refinery. Some employees suspected PDVSA was being used to launder money via these illegitimate transactions. 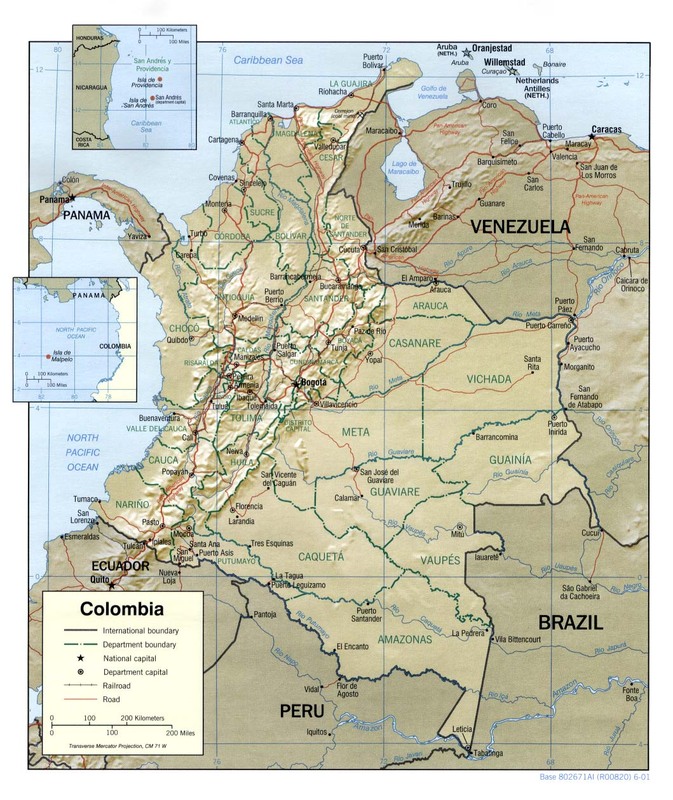 Oil production: El Universal reports that production in Venezuela is 484,000 barrels per day. Yesterday, President Hugo Chávez said production had reached a third of pre-work action levels (see immediately previous post), which is on the order of one-third of pre-job action levels. On the other hand, it appears to be up slightly from previous non-government estimates. 1. In New York to meet with United Nations Secretary General Kofi Annan, President Hugo Chávez says Venezuelan oil production has returned to about one-third pre-work action levels, reports Bloomberg.com. Strikers and industry analysts have disputed government figures on oil production. "What's going on right now is a speculative run on the bolivar based on rumors and nervousness," Planning Minister Felipe Perez said late yesterday on the state television station. "The rumor that we plan exchange controls has been criminally planted for political objectives." The key pharase here being "exchange controls." Venezuela this year faces the most serious economic collapse in its history because of lost oil output and escalating political tension, bankers and analysts warned on Tuesday. BSCH, the Spanish bank, said that it expects the economy to contract by 40 per cent in the first quarter and by at least 9 per cent this year. It described the situation as the "biggest [example of] wealth destruction in Venezuelan history". The contraction could potentially be as deep as 30 per cent, BSCH added, given that for every month that passes without a political solution to reactivate the oil industry the economy will shrink by an additional two percentage points. Venezuela's economy declined by nine per cent in 2002; since Chávez took office, Venezuela's economy has declined 18 per cent. The article also says, in contradiction to Chávez, above, that the state oil company, PDVSA, is producing about 400,000 barrels of oil per day. Alí Rodríguez, the PDVSA chief, said this week that oil production would return to pre-strike levels by the end of February. Most oil industry observers say such a forecast is unrealistic, however. In the most optimistic of scenarios it will take two to four months from the day PDVSA employees return to work to ramp up output to 90 per cent of previous levels. Sincor, a joint venture between Total-FinElf SA and Statoil ASA with exports 150,000 barrels a day of crude oil to the U.S. Gulf Coast, has refused to load ships since the military took over a privately operated oil terminal on Dec. 15. Joris De Smet, Sincor's manager, said the joint venture has concerns about the personnel that took over the terminal, which is normally operated by Williams Cos., Tulsa, Okla, and Enbridge Inc.
"For the time being we don't see that there is a safe situation to load ships," said Mr. De Smet. A spokesman for the Williams/Enbridge consortium said its insurers had canceled its liability coverage because of a lack of harbor pilots and because the terminal had been "militarized." The problem of obtaining insurance for tankers calling at Venezuelan oil ports has previously been noted in El Sur, here, here and (as early as December 17) here. War of attrition: Venezuela's nationwide work stoppage has settled into a war of attrition. A month ago, when the work action was a week or so old, there were several possibilities. It seemed probable that the opposition couldn't sustain an extended work action. In the alternative, it seemed possible President Hugo Chávez would be forced to accept a non-binding, advisory referendum on his performance. A vehicle to dress up either side's defeat as a compromise was available--the talks mediated by Organization of American States Secretary César Gaviria. A month later it is clear that Chávez and the opposition are willing and able to sustain the conflict to and through Venezuela's collapse into complete chaos. The opposition has sustained the work action for 40-plus days, growing stronger not weaker. And Chávez has made it abundantly clear he will concede nothing. Meanwille, Gaviria and the OAS have achieved nothing. Neither the military nor the courts has been willing and able to establish rules that would force the fight to a conclusion. The military keeps the sides apart in the streets, tear-gassing opposition protesters on Monday and Chavista demonstrators on Tuesday, keeping the conflict at a fever pitch, without offering resolution. The Supreme Court decides against anything that would tip the balance: Chávez can't prosecute officers for rebellion or take over the (opposition led) Metropolitan Police; the opposition can't have an advisory referendum. This last item is today's big news from Caracas. El Nacional and El Universal both report today that the Supreme Court has suspended the February 2 consultative referendum, pending a decision on a complaint by pro-Chávez legislators about the make up of the National Electoral Council (Consejo Nacional Electoral or CNE), which approved the vote. Last October, the opposition gathered more than 1.2 million valid signatures on petitions seeking the vote. Peña announced that in view of its disarmament the Metropolitan Police would suspend patrols in lower-income neighborhoods. Also the guarding of banks, embassys and stations on the Caracas subway. He indicated that its participation in marches will be diminished and will depend on the capability left the officers of the teams of public order after the loss. Peña anunció que en virtud del desarme la PM suspendería el patrullaje por las barriadas populares. También la custodia de bancos, embajadas y estaciones del Metro de Caracas. Señaló que la participación en las marchas se verá disminuida y dependerá de los equipos de orden público que queden en poder de los funcionarios después de los allanamientos. Adding to Venezuela's burdens is the involvement of two international pests, long-time international ambulance chaser former U.S. President Jimmy Carter and newly minted meddler Brazilian President Luiz Inacio Lula da Silva. 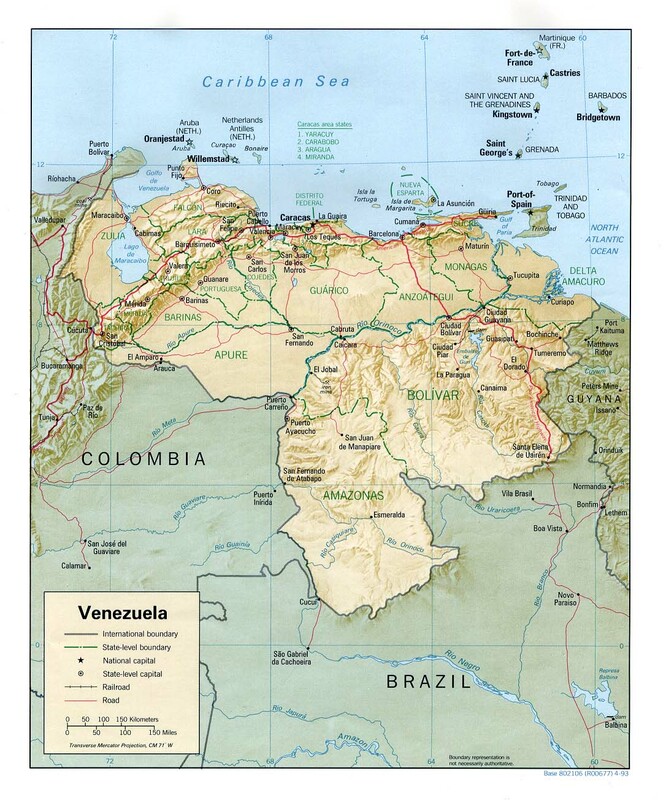 Carter visited Venezuela last June to mediate between the government and opposition (noted in El Sur, here and here). Events daily give evidence of Carter's failure. For his part, da Silva ought to have enough to do, managing South America's largest and most populace country, which also happens to be plagued by poverty, corruption and criminality. But no, he's decided, according to Bloomberg.com, that he's the man to deal with Venezuela's problems. Da Silva has formed a "Friends of Venezuela" group of Latin American leaders. He plans to meet with them and Chávez in Quito, Ecuador, where many are attending the inauguration of Ecuador's new President. De Aragao and other analysts have said Lula may seek to present a compromise solution under which the opposition halts the strike and recognizes Chavez's legitimacy until an election is held. Chavez, whose term ends in 2006, would also refrain from seeking to punish or restrict political opponents, analysts said. As a generality, this is a formula Chávez and the opposition can agree on. In fact they already do. Both sides want elections and the courts refuse to punish anyone. Question is, which election, when? The opposition's non-binding consultative referendum, scheduled for February 2 (but now suspended), which the Chávez government won't finance and refuses to respect, or an August referendum, under the terms of the Chavista constitution, which the opposition refuses to wait for? When da Silva and the other presidents answer this question they will also be answering the really critical question: Which side are you on? And they will no longer be mediators, but partisans. 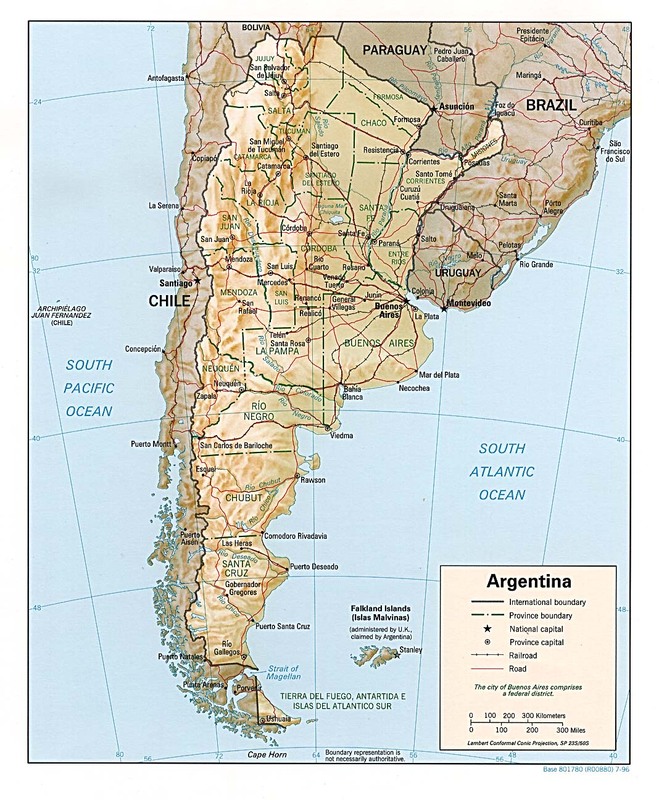 And for what?, given that every one of them, except perhaps Chile's president, Ricardo Lagos, has multiplying problems of his own, da Silva not least among them. AP and La Tercera have reports. Stratfor analysis: The private intelligence company, Stratfor (Stratfor.com) yesterday distributed a new analysis, avaialble via FreeRepublic.com. First, remaining food stocks could be exhausted quickly and distributed unevenly among the populace. In recent weeks, since the military seized control of PDVSA's installations, local gasoline distribution has been more constant in poor areas -- where Chavez typically has more supporters -- than in opposition strongholds. The Chavez regime would have two clear motives to follow the same pattern with food distribution: first, to maintain the support of poor voters and shore up his sagging popularity ratings, and second, to starve out his foes. The possibility that food stuffs could be stolen outright in the event of a military seizure also is difficult to discount. While charged with distributing gasoline, sources have told Stratfor that some soldiers demanded cash payments and refused to issue receipts to citizens. Finally, many food companies in Venezuela are owned by U.S. or European multinationals. Chavez could run afoul of these countries if their governments perceive him as confiscating private property illegally. The analysis, written after Chávez's speech, noted below, notes the contrast between his admission that the Venezuelan oil company produced barely 150,000 barrels a day during December and his assertion just a week ago that PDVSA production was back to one-million barrels a day. The analysis also says that capital flight from Venezuela amounted to $11 billion in 2002 and $34 billion since Chávez assumed office in 1999. Self-destruction: Nearly a month ago, President Hugo Chávez ordered the military to take back and run the national oil company. Production would be back to normal by January 15, he said at the time. That's a week away and production is still a fraction of normal. The government's own estimate for a return to normality is now May. Flush with that success, Chávez yesterday gave a speech in which he ordered the military to make ready take over the food distribution system, according to Bloomberg.com. "What these traitors have done has really affected public finances," Chavez said in a televised speech. Canned goods, dairy products, meat, soft drinks, flour and sugar are now in short supply, and the empty store shelves have led Chavez to import food from neighboring countries, such as Colombia and the Dominican Republic. Chavez is concerned the shortages may spark riots similar to those in 1989 that killed at least 300 people and weakened then-President Carlos Andres Perez, who was impeached four years later, analysts said. Chavez said military units would take over silos, storehouses and warehouses if needed to ensure food supplies. "We've had to import gasoline at international prices and then resell it cheap to Venezuelans," Chavez said. "We've spent billions of dollars importing food, meat from Brazil, milk and flour from Colombia, rice from the Dominican Republic. We've had to do this because some insensitive businessmen have stopped producing flour and are hoarding rice and corn. I can't let people die of hunger." Supermarkets in Venezuela were closed Thursday and Friday because a nationwide bank job action made it impossible for stores to process purchases by check, credit card and debit card. In a related item, also from Bloomberg.com, Chávez for the first time publicly acknowledged the true condition of Venezuela's oil industry, though in the typically belligerent and unreflective manner that more than anything else frustrates and arngers the large number of Venezuelans who don't support him. "For most of December, we were only producing 150,000 barrels a day. For the last few weeks, we haven't been able to sell a single barrel of oil, because we haven't had any tankers available because these traitors stopped all the tankers. What these traitors have done has really affected public finances." The oil output number is the lowest Chávez has ever given and is close estimates that have been provided by striking oil executives. Tankers are refusing to enter Venezuelan ports because operational and security problems have made it difficult if not impossible to obtain insurance. "We've fired about 1,000 of the coup mongering managers at the state oil company. Now we have truly patriotic management." "Kofi Annan called me this morning and said he was concerned and wanted to know what was going on here. I told him there's a group of opposition terrorists here." "One of the most guilty parties behind this crisis is Gustavo Cisneros. I denounce him in front of all the world as a fascist and a coup monger." Cisneros is an extremely wealthy Venezuelan, the owner of one of Latin America's largest media groups. He now lives in Miami, for obvious reasons. But, while Cisneros is no friend of Chávez, it is increasingly clear that he is not Chávez's worst enemy, that being Chávez himself.